How many branches are in the Lafayette Public Library System? 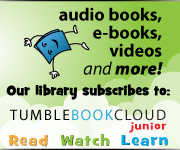 What is the latest information on your library construction projects? Can I apply for a library card online? If I live in another parish, can I get a library card? Can the same library card be used at all of the branch libraries? What happens if my library card is lost or stolen? How long are your check-out periods? How do I request an item (place a hold on an item) that is currently checked out? Can I return my items at a branch library? What are the fines for books and DVDs? For a lost library card? Do you accept credit card payments for fines? Can I pay my fines online or over the phone? Everything about our Overdrive service. Do you have books in foreign languages? I am having problems using the online catalog. How much does it cost to print from a library’s public computers? Can I print in color at a library? Can a patron buy a book on the shelves? Do you have study rooms and/or meeting space? How can I apply for a job with the library? Do you have any information on applying for state civil service jobs? What is the name of the mural on the second floor of the Main Library? Currently, we have nine branches throughout Lafayette Parish, including four in the City of Lafayette. View the complete list here. We also have plans to open the West Regional Library in the Scott area in 2019. The West Regional Library will replace the Scott Branch. Our regular hours are available on our website by clicking on the “Hours/Locations” menu tab at the top of any page. Because we are part of the Lafayette Consolidated Government, we generally observe all LCG-approved holidays. The only exception is Martin Luther King, Jr. Day, on which our Butler Memorial Branch is open part of the day. Some of our locations also have abbreviated hours for special occasions like Mardi Gras parades and Festival International de Louisiane. For a complete list of holiday/special occasion closings, click here. We have set up blogs for updates on all of our library construction projects. You can get photos and the latest updates of our West Regional Library by visiting the West Regional Library Construction Blog. In order to borrow materials from the Lafayette Public Library System (LPL) collection, you must have a current library card. Library cards are issued at all LPL branches. New library cards are issued at no charge. A $1.00 replacement charge is required for all replacement cards. Individuals applying for a LPL card must show proof that they currently live, work or attend school in Lafayette Parish (a valid driver’s license or a work or school I.D.). If your current address is not on your I.D., you may need to show a printed check with your current address, or mail with your address, or a current rent or lease receipt showing your address. Children: Children from birth to 8th grade may receive their own library cards. A child’s parent, stepparent, grandparent or legal guardian must apply for the card and provide current proof of residency, employment or school attendance in Lafayette Parish. A person other than a parent, stepparent, grandparent or legal guardian cannot fill out the application. Both the child and guardian must be present when applying for the card. Exceptions are made for homebound parents or children and specific groups with prior library permission. Adults: High School students and older may get a library card on their own recognizance. Students who have completed 8th grade and are currently in the summer before entering high school may also apply for a card without a parent present. The individual must provide current proof of residency, employment or school attendance in Lafayette Parish. The patron must apply for the library card in person. Exceptions are made for homebound individuals or specific groups with prior library permission. For specific information on qualifying for a library card, please call (337) 261-5784. The card is free. We also issue library cards to cardholders of surrounding Bayouland member library systems with proper ID. All locations can issue a limited-use library card to any individual who do not qualify for a full-service card as a resident but needs to use a library computer. Yes! Right here! Please note that only current residents within Lafayette Parish may apply for a card online. All other qualified applicants must apply in person at one of the LPL branches. A patron wishing to borrow library materials, use a library computer workstation, or have online access to the library’s electronic resources must have a valid library card. A patron with a valid library card and in good standing with the library may check out library materials in accordance with material type restrictions and use computer workstations and electronic resources following LPL’s Electronic Resources Policy. If I live in another parish can I get a card in Lafayette Parish? Yes. If you have a valid library card from a Bayouland member library system you can apply for a card in Lafayette Parish. The following library systems are Bayouland members: Acadia Parish, Allen Parish, Iberia Parish, Opelousas-Eunice, St. Martin Parish, St. Mary Parish and Vermilion Parish. Yes, the bar-coded library card can be used at any branch in the Lafayette Public Library System. Notify the library immediately by calling (337) 261-5784. The cost for a replacement library card is $1.00. 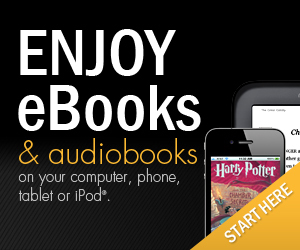 Most books, magazines, audiobooks and CDs check out for three weeks. Bestsellers and high demand titles check out for two weeks. Video games check out for one week. Most books check out for three weeks. Bestsellers and high demand titles check out for two weeks. See the question above for specific check-out periods for each type of item. All DVDs check out for one week. Currently you are allowed to have up to 50 items checked out on your record at any one time. Some collections, such as DVDs, music CDs and audiobooks, have specific limits. These limits are based on the size of certain collections and public demand. To have an item reserved for you (or to “place a hold” on that item), visit our online catalog and search for the item by title, author or keyword. Once you have found the item you want, click on the “request item” button. You will be asked to log in with your library card number and PIN (usually the last 4 digits of your phone number), and then you will be placed in the next available spot in the queue for that item. If several people have requested that item or it is already checked out, you may have to wait several weeks before the item is available to you. Once the item is ready to be picked up, you will be notified by email or phone call with the library location where your item is being held. If you would prefer to request your hold over the phone, you may call the Information Services desk (Adult: 261-5787 or Children’s 261-5779) and ask a librarian to place your hold. Holds can be placed on all types of library materials, although some specific items may be restricted. Yes, your items can be returned at any library location in the Lafayette Public Library System, regardless of where the item was checked out. All library branches have an after-hours book return. Non-digital items will automatically renew before they are overdue letting you return them at your convenience. You will receive an email notification before the due date asking you to return the item, Items not returned will renew automatically (unless title is on hold or renewal limit has been reached). All items have a renewal limit. If an item reaches its renewal limit or if another patron has placed a hold on the item, then it will not renew. You will receive an overdue notification ahead of the item’s due date along with a 14-day grace period to return the item. Late fees will apply when an item’s renewal limit is reached and the item has not been returned within the grace period. Please note that any existing fines still apply. If the allowable number of automatic renewals has occurred or if an item is on hold, then an item will not automatically renew. Library materials can be renewed up to six times, as long as no one else has requested that item and the patron does not owe more than $5.00 in fines. Items can be renewed on our website (click on My Account on the top right side of the online catalog page), on our LPL Mobile app, by calling our 24 hour renewal line 261-5771, or by calling 261-5784 during regular business hours. Items can be renewed after the due date; however, late fees are charged. For lost items, you are charged the price of the item plus a $5.00 replacement and processing fee. At this time, LPL cannot take credit/debit cards or electronic check transactions. As such, we cannot take online or phone payments. Cash and checks are welcome in our branches; however, a fee* will be charged for any checks that are returned for insufficient funds. Yes! 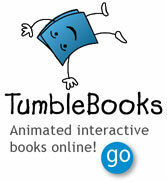 We offer many titles in French and Spanish for children and adults. Ask a librarian to help you find them. We also offer online language learning tools through our Pronunciator service. This is offered free to anyone with a LPL card. Renewal or checking your account is available on our website (click on My Account on the top right side of the online catalog page). Library Staff can also assist you during regular hours with renewals or placing holds. Please contact your local branch or call the Main Library at 261-5784 (renewals), Adult Services Information Desk at 261-5787 (adult titles), Teen Information Desk at 261-5778 (young adult materials) or Children’s staff at 261-5779 (assistance with children’s books and resources). 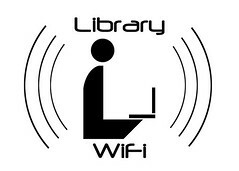 Yes, there is free wireless Internet access (WiFi) at all branches of the Lafayette Public Library System. The first 5 black and white pages are free. There are NO free color pages. The Lafayette Public Library provides plain 8.5 inch x 11 inch, letter size paper. No other custom paper sizes or types are available to patrons. Donations of used books and other materials are also appreciated. These donations go to the Friends of the Lafayette Public Library and are resold during the Spring and Fall Friends Book Sales. The profits from the Friends’ sales generate funds for various library programs and materials. Book donations are accepted at the Library’s warehouse facility at 211 East Pinhook Road on Thursdays from 9:00 a.m. to 2:00 p.m. Friends donations are tax deductible and receipts are available at the time of donation. For more information on what can be donated, please visit the Friends on Facebook. Another way to donate and help LPL is through the Lafayette Public Library Foundation. Donations are accepted here. No. Books on our shelves are not for sale. Library books can be borrowed. 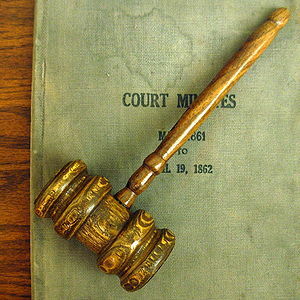 After an item has outlived its usefulness to the library, the library requests permission from the City-Parish Council to remove it from the collection. Once approval is given, the books are donated to the Friends of the Library for sale at their Spring and Fall Book Sales, at which time you may purchase any discarded library item that is offered. Yes. Patrons may send outgoing faxes at our Main, East Regional, North Regional and South Regional Libraries, at a cost of $1.75 for the first page and $1 for each additional page. Payment can be made by credit card at the machine itself or by cash or check at the information desk. We are unable to accept incoming faxes at our libraries. 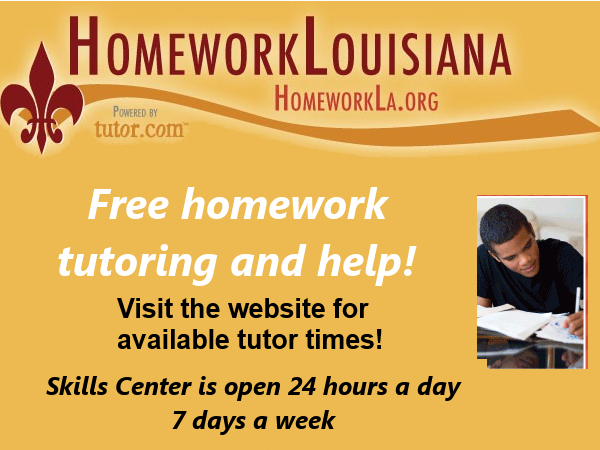 Our patrons have access to free online tutoring through HomeworkLouisiana, offered by the State Library of Louisiana. HomeworkLouisiana provides live tutoring and academic resources from Tutor.com for kindergarten students through adult learners in subjects like math, science, social studies and English. The services can be accessed from any LPL public computer, from your home computer or from your mobile device. We also offer the LearningExpress Library. 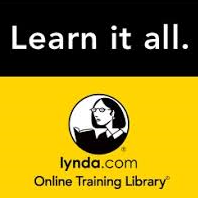 This site contains practice tests for common aptitude tests like the ACT, SAT and GED, exercises, skill-building courses, eBooks, and information you need to achieve the results you want—at school, at work, or in life. Looking to land a job? You’ll find an entire Learning Center dedicated to helping you get the one that’s right for you. Yes! Our Main, East Regional, North Regional and South Regional Libraries offer private study and meeting rooms of various sizes that are free to use by the public. However, you must reserve these rooms ahead of time and some restrictions do apply. Visit our Meeting Rooms page for more information on how to reserve a room or call the library. Library vacancies are handled through the Lafayette Consolidated Government Civil Service Department. 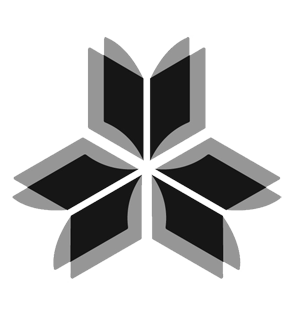 To view a list of positions currently available at the library, please visit the Lafayette Consolidated Government website. Sample tests, job openings and other information are available on the State Civil Service website. You may use our public computers to access this site and print from it. “There comes a time when canvas simply cannot express what you want to say. Murals were the answer. “I have completed several murals, but the commission to paint for the Lafayette Parish Public Library is the most important and the largest and certainly the most exciting. –Listed in “Who’s Who in American Colleges and Universities” for 2 consecutive years.